This past Tuesday began with a ring of hope. I spent the majority of the day thinking that America was about to enter a bold and exciting new chapter. Not so much because *Hillary Clinton* was poised to become the first woman President of the United States, but because we were about to have our first woman President, period. There was a sense of transition in the air, and there was something incredibly poetic about the idea that America's first African American to hold the White House would give way to the first female. With a Wonder Woman movie around the corner, and this year being her 75th Anniversary, to women all across the country vocally embracing and supporting feminist ideals in a fashion that it actively was making a huge impact on popular culture and how we, as a collective society, talk about these issues; it felt like destiny was calling. I don't even want to get into the Grant Morrison-supported Crowley-purported Aeons for fear of losing you down a rabbit hole, but a comment he made two summers ago at SDCC rang ever so clearly with me: "Men have fucked things up long enough, it's time to turn things over to women." Or something like that, it's a bad paraphrase, but the wheel seemed greased needless to say. I thought for sure, this was it. It was not. And god, did the wind ever taken out of my sails. I couldn't even be in the room when it happened. I can't begin to imagine the deflating feeling liberal women across the country must have felt. I won't get into my feelings about Donald Trump, or his rhetoric and just why the venom that cropped up in his wake has uncovered some really deeply ugly stuff in America that we had hoped was long buried. It's easy to be pessimistic about the future of this nation when you constantly see signs of civil unrest, and people expressing real concerns about their safety in the wake of a national vote. It's a scary time in America, as I say that as a white, straight male. These are the thoughts that are broiling through my head as I sat down to write about Loving. Jeff Nichols' peak into the events that led to the Supreme Court decision of Loving v Virginia, a case in which invalidated laws that prohibited interracial marriage throughout the land. Taking place in the late 50's from the point of their marriage, into the late 60's when their case is finally heard, Loving keeps its watchful eye on its two central players, allowing smaller moments the opportunity to build and create an atmosphere that feels utterly real and arresting. This isn't the kind of biopic where you get big grandiose speeches, and the moment it seems that's about to happen, Nichols cuts away and moves back over to the plainer-speaking subjects of the film. It's really quite remarkable, and moving, and is basically exactly what you'd think you'd get with a Jeff Nichols take on real-world history, or in blunter terms, Oscar bait. Except it's the most un-Oscary biopic I've seen in some time, even to the point that it completely cuts the musical swells that are so often used to punctuate its hardest hitting moments. Short of one scene, I can barely remember any music accompaniment playing in the background at all. It's beautifully understated and incredibly vital in that it produces, in a pitch perfect form, the lived-in experience of two people dealing with the ramifications of a legal system that stands against them. It's not to connect the dots between what once was illegal and to what could easily become illegal again in today's modern political landscape. I could go deeper, but this is a movie that deserves to be felt rather than described, especially right now. There's something heartening about the righteous being rewarded, despite years of tribulations. 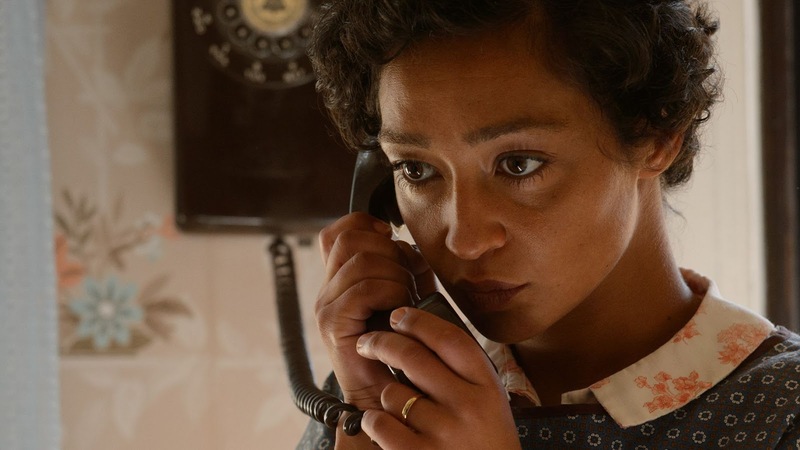 Joel Edgerton has never been better, and this will be the role that should turn Ruth Negga into a movie star. Is it the best Jeff Nichols film? Maybe. Certainly the best since Take Shelter, and it's absolutely the one that will resonate in years down the line. It's amazing to think he produced two big screen outings this year, but this is certainly the superior one and I'm so glad he saved the best for last. It couldn't have come at a more needed time. Go see it, go be inspired by what advocacy can do. It's a powerful tool, and one that will surely be needed in the coming year.